Phew! It's been a month since my last update on my blog and I feel guilty for not updating my blog~ My skin condition has been up and down last month, causing me not having any confidence to share any review on the sponsored skin care products. 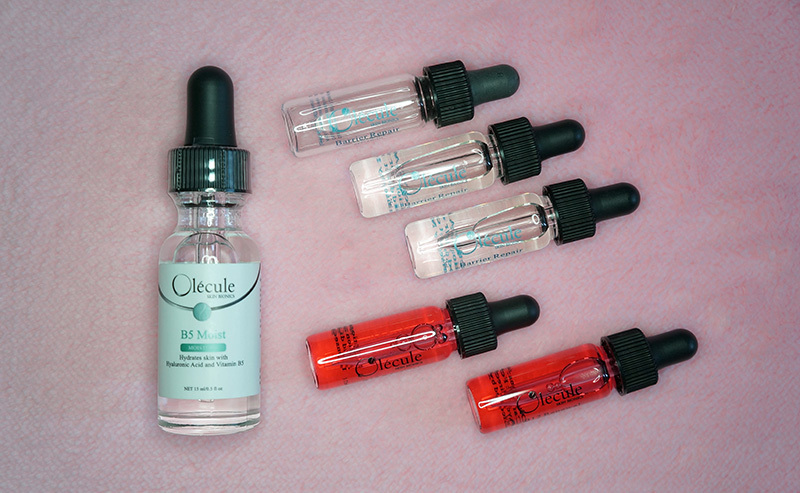 I thank Olecule Malaysia for letting me the chance to review serums that help to enhance my skin condition. It is slightly troublesome to have dry and sensitive skin at the same time because my skin tend to reacts differently with different skin care products. 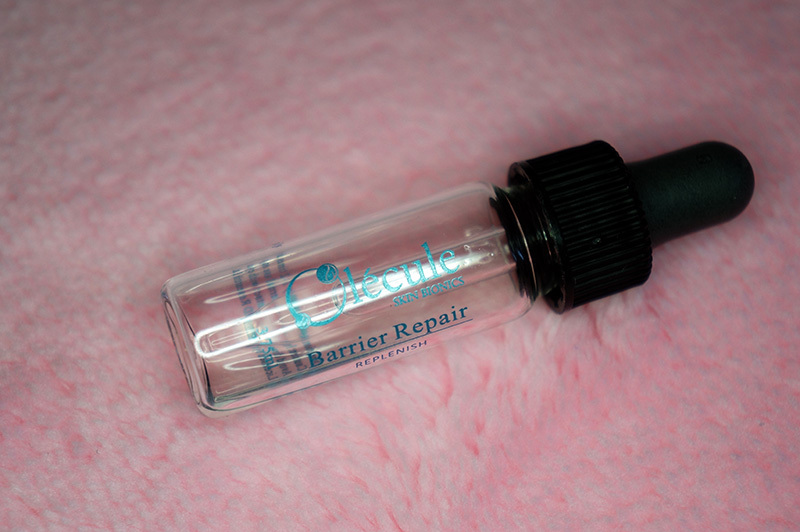 Olecule is a brand from US and has been invented to bring plant based natural ingredients efficiently down into the skin for specific skin imperfection. The cutting-edge technology is being used to create a unique skin care formulation that tackle on specific skin issue such as aging and hyper-pigmentation. 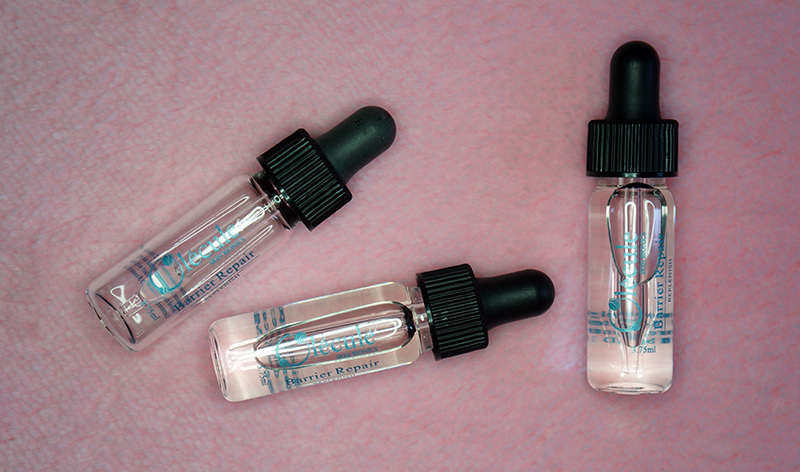 I received three types of serums that is dedicated to my skin issues, where two of them are from the Replenish & Rejuvenation series and the other one is from the Moisture series. The Moisture Series has an innovative formula to allow small and large molecular weight firms dermal cell construction and attracts water molecules for deep hydration. The Replenish & Rejuvenation Series rejuvenate inner layer of the skin while maximizing self-defence. 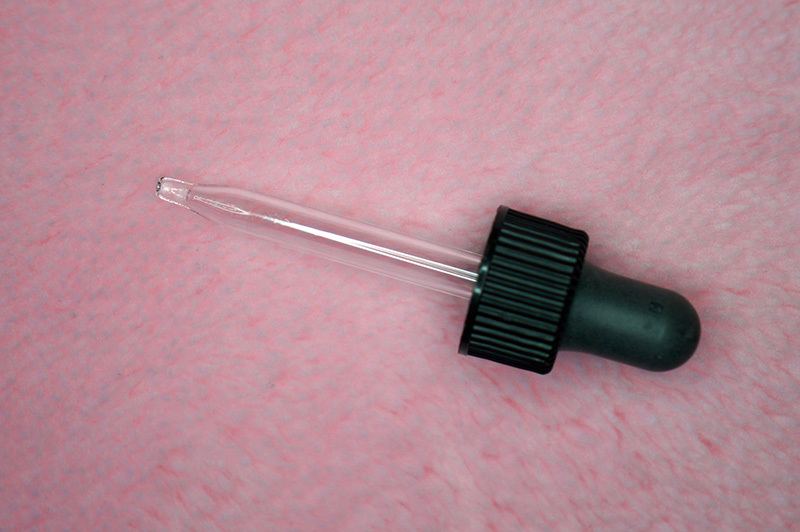 The serum contains high molecular weight and low molecular weight Hyaluronic Acid. The high molecular weight Hyaluronic Acid can attract 1000 times its weight in water to hydrate the skin . On the other hand, low molecular weight Hyaluronic Acid can penetrate into the dermal layer to boost up collagen production and prevent trans-dermal water loss. The Vitamin B5 in the serum helps on tissue repair and nutrients replenishment. It improves barrier function towards the skin and improves skin texture significantly. 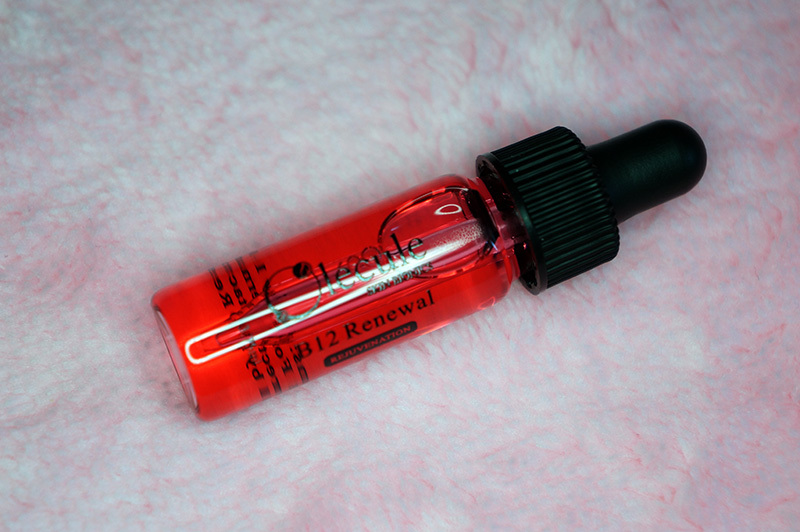 Olecule B12 Renewal composes multi-vitamins and amino acids dedicated for skin cells repair. It increases microsimulation, enhances the cellular metabolism and the health of the skin. It also improves pale complexion by providing a glowing, fresh and healthy skin appearance. Ceramide is the most natural and closest to the lipid layer of the skin elements that can repair skin barrier and prevent water loss. It builds up good protection later against foreign substances and strengthens the skin immune system. 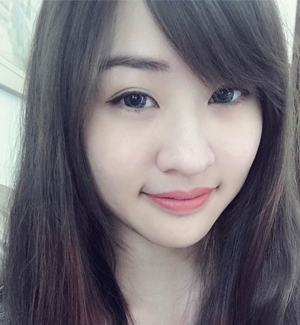 Here is the comparison on how the texture looks like on the skin. 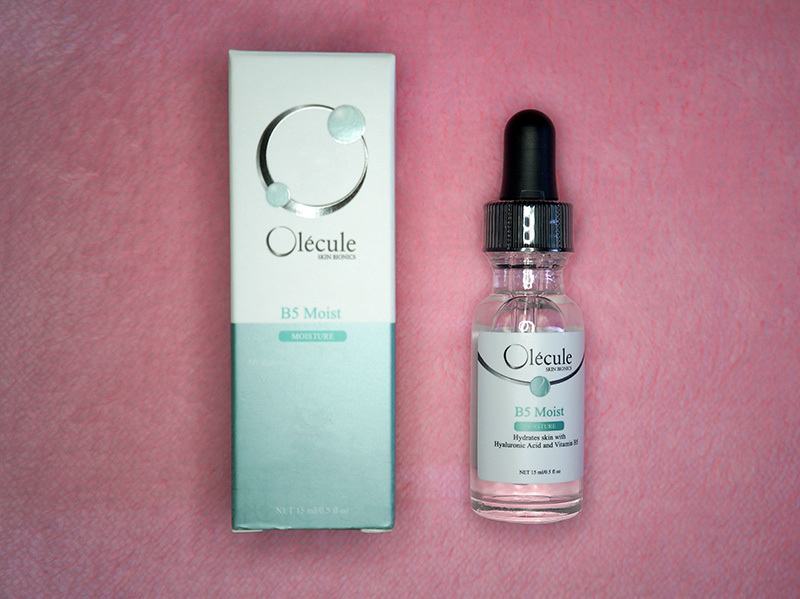 They are in liquid form whereby B5 Moist is slightly thicker than Barrier Repair and B12 Renewal. Both Barrier Repair and B5 Moist do not have any significant scent whereas B12 Renewal has a slightly sweet scent. 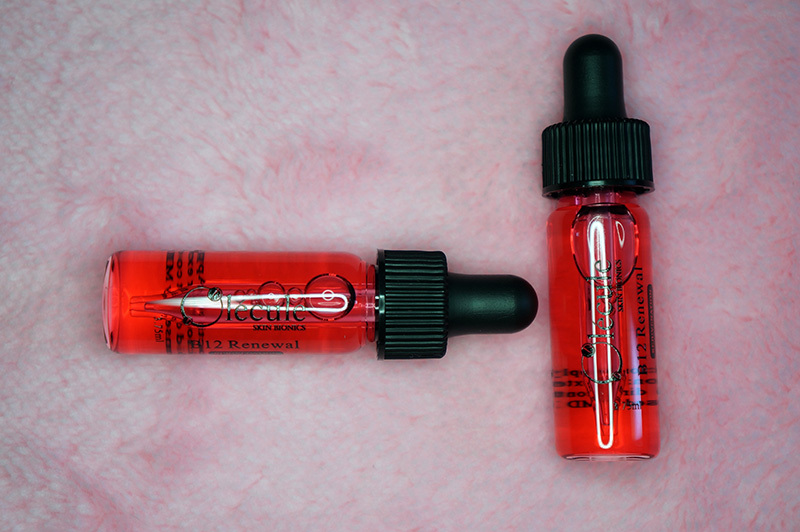 As for the packaging wise, the serum does not have any fancy design on it but it comes in a clear container with a dropper, allow you to control precisely on the amount of serum that you can use on your skin. I've been using these serums for 3 months (on and off) and I have to say these serums are extremely moisturising. Te one I love the most is Olecule B5 Moist. 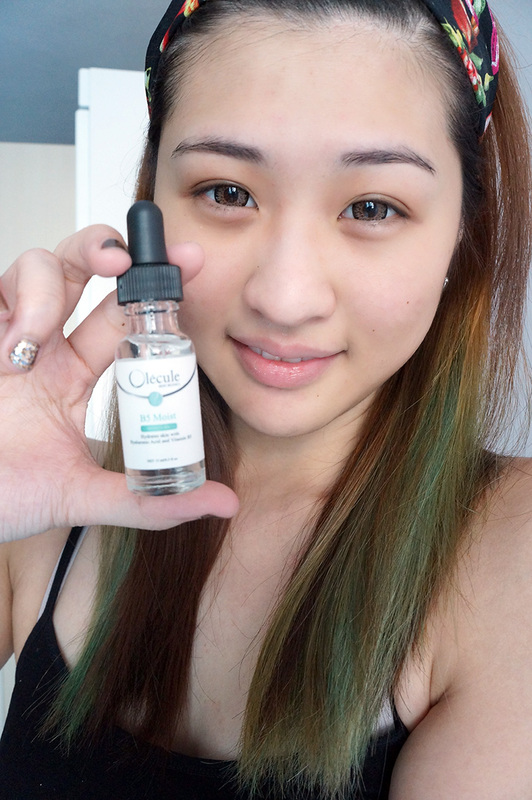 I love the refreshing feeling after using it and a two drops of them are enough for my whole face. It is easy to spread and it doesn't leave any greasy and stickiness on the face. The samples lasted for a month and I would say the price is reasonable for a 15ml serum bottle that can last more than 2 months. Although it is slightly troublesome for applying so many serums at a time, it is good to know these serums are treating my skin as promised.